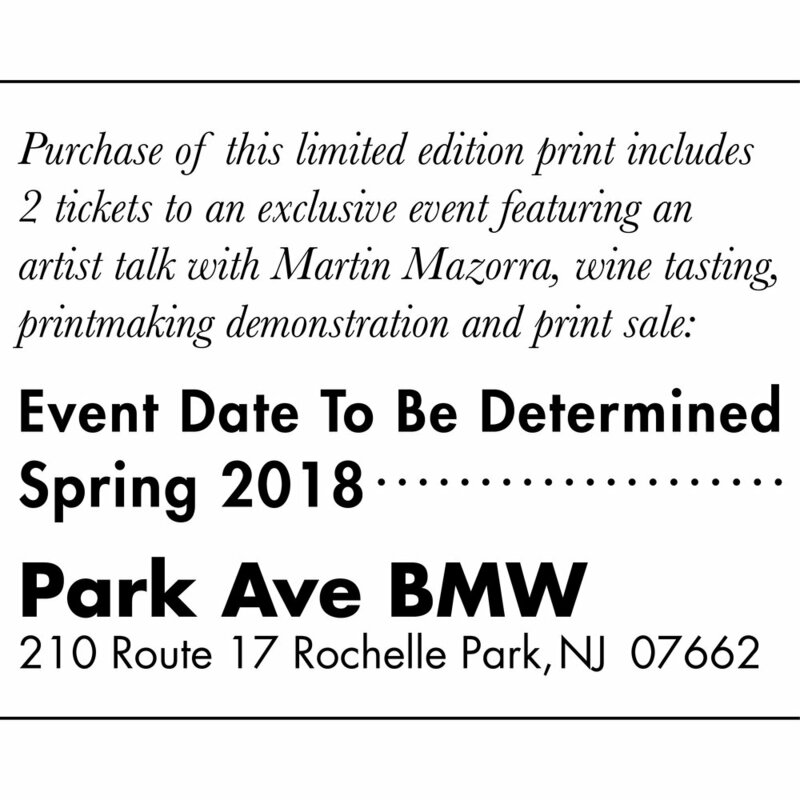 Purchase this limited edition woodcut print by martin Mazorra and support Guttenberg Arts’ mission to increase opportunities for artists while creating cultural experiences for New Jersey communities. Martin Mazorra is a Brooklyn based artist, originally from West Virginia. The woodcuts he makes are hand-drawn and hand-carved and hand-printed. The letterpress is moveable type, and printed on a Vandercook press. Mazorra loves the unique characteristics of wood type, and the slight differences between letter forms. The combination of woodcut and letterpress provides editorial content and graphic impact, while preserving the individuality of the hand that makes the cut.